What are your plans for Christmas gifts this year? 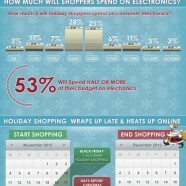 TechBargains.com questioned customers about their shopping preferences for tech gadgets this holiday. Guess what! “T” is the magic letter. XLarge stockings needed!